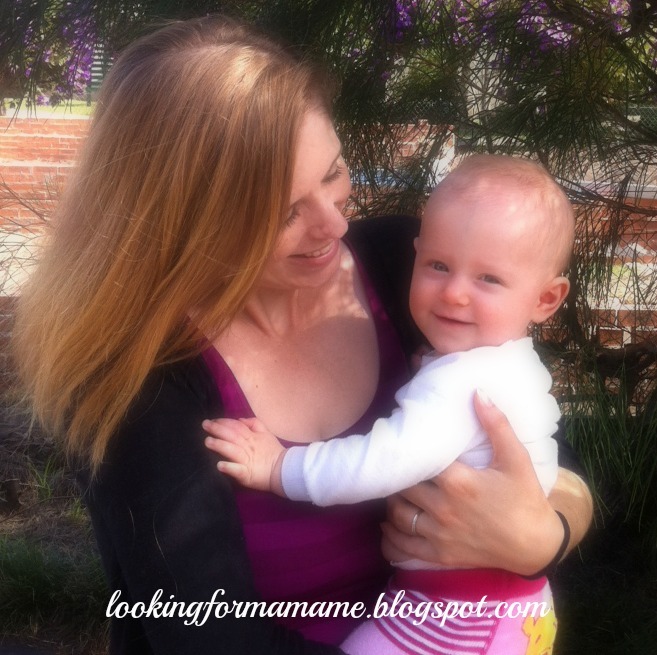 I've had some fantastic guest bloggers this month, and last up for January is fellow Aussie Parenting Blogger Lu from Looking for Mama Me. I've really appreciated the help to keep my blog going in these first few months. Plus it's given me a great kick start to 2016 and reached a wider audience which has been fantastic! I mentioned to Lu that I started my blog when Miss M was already 9 months old, and now that I have my little man I have all these new things to write about, including baby play ideas. So Lu's post today is the perfect fit. For those of you who don't know me, I'm Lu from Looking for Mama Me. I am a mummy to an amazing little toddler who challenges me every day with her curiosity and energy! I live in a little town in regional NSW after moving with my family across the country not long ago and am still navigating my new town and my learning all about my little family and myself. 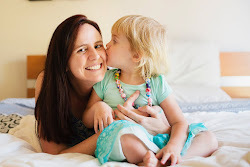 I blog about motherhood, activities for babies and toddlers, food and craft. You can find me on Facebook, Instagram, Twitter and Pinterest! Its been a while since I've had a newborn, but when the beautiful Lauren from Teacher Types asked me to guest blog for her while she enjoyed her own little newborn, I started to reflect on all the games I used to play with my little girl and how I scoured my mind for ideas to keep her entertained. Like most babies, my girl will only self-entertain for so long and seemed to need constant attention and entertainment. I'd put her on her play mat for a kick around and two seconds later she'd grizzle because she was bored or she'd flip onto her tummy and try to eat her play mat. By the time she hit around 4 to 5 months I found she was really engaged and wanted more stimulation. Here are some of my favourite ways to entertain your baby! From birth until she started crawling (and even beyond) we did lots of movement practice with our girl; bicycle legs (cycling her legs up and down like she's riding a bike), kicking practice, standing practice, sitting practice. I sing everything! I have a song just for nappy change time. Old Macdonald is one of her favorites, she tries to sing along and now even wiggles like she's trying to dance. Three blind mice (a sanitised version - I'm not particularly keen on singing about mice tails being cut off with a carving knife) and Hush Little Baby both go down well too. Even as a toddler I still sing all the time, despite annoying my husband, my girl loves it! Books are fantastic for any age and you can never read too many. We spent a lot of time reading, and still do. Stories are great for before bed but I have loads of little board books as well which perfect for little baby hands, and attention spans! Obviously they can't read yet, but I love reading to my little girl and telling her about all the pictures. I started doing this when she was only days old, now at 15 months she loves books and has excellent comprehension. I like to talk to her about everything. Not only is it fantastic for oral and listening development but your voice is calming and nurturing. I read somewhere that babies that are talked to using full range of vocabulary (rather than baby talk) will develop language skills sooner and grow up to have a higher IQ. I like to think this is true, so I talk to my baby like I would to anyone else. Whether its explaining the game of cricket or telling her about different types of cats, I figure it can't hurt. Even at 15 months, we get out and get some exercise every day. It has been crucial for our mental health and keeps us both happy. Every morning since she was a few weeks old, I put her in the baby carrier or pram and headed out for a walk. As a baby, if it didn't put her to sleep, at the very least it kept us both occupied for a while and I got some exercise. Sometimes we sit out on my parents deck and watch the ducks and pelicans swim by, I point out boats and birds and so on. I'm embarrassed to say sometimes I just put the tv on and have her sit on my lap to watch the colours and movements. If she is particularly cranky, this might calm her down. 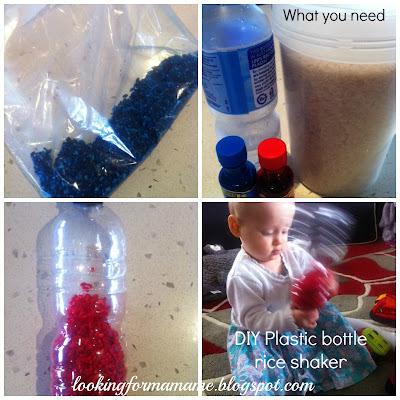 There are so many simple household items that can create sensory experiences for little babies. Coloured rice in a plastic jar can be visually stimulating and they'll the rattling. Try giving your baby pieces of fabric in different textures - furry, rough, smooth - and let them explore. Simple games with basic concepts are great for small babies. My little girl loved playing horsey, sitting on my tummy and bouncing up and down while I make click clacks. Peek-a-boo is always a winner Its also wonderfully cut as she giggles and squeals away! Playing with your baby is not only entertaining for your baby but can help them develop. From language to motor skills to social behaviour, to me the most valuable outcome is that bond with your baby. There's nothing else like it!